Reading Australia presents this Alison Lester podcast, with permission from The Garret Podcast. Her first book, Clive Eats Alligators, was commended in the Australian Picture Book of the Year Awards in 1986. Ernie Dances to the Didgeridoowas shortlisted in 2000 for the same award and her picture book, The Journey Home, received the award in 1990. In 2005 she won the Children’s Book Council of Australia Picture Book of the Year award for Are We There Yet? : A Journey around Australia. Alison has also published two young adult novels, one of which (The Quickstand Pony) was named a CBCA Notable Book in 1997. In 2016 My Dog Bigsy was shortlisted for the CBCA Early Childhood Book of the Year award. Alison’s varied career includes being the writer-in-residence at Tanglin Trust School in Singapore (1999), travelling to Antarctica as an Australian Antarctic Arts Fellow for the Kids Antarctic Art project (2005), exhibiting Are We There Yet? in Japan and Taiwan (2005-2006), being the artist and photographer on voyages to Antartctica and the Arctic (2007), being the artist-in-residence at the International School in Kiev in the Ukraine (2011), and being an Ambassador for the National Year of Reading (2012). 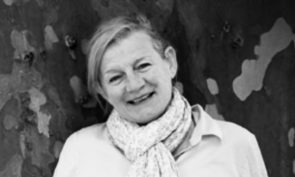 Alison was named the Inaugural Australian Children’s Laureate with Boori Monty Pryor between 2011 and 2013. In 2013 she became an Ambassador for the Indigenous Literacy Foundation, and in 2015 she worked with the students on the Tiwi Islands to produce No Way Yirrikipayi.